Mind goes to ELC-E and Buildroot ! 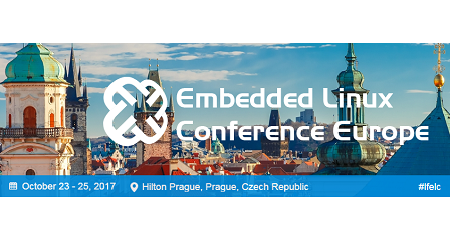 The Embedded Linux Conference Europe (ELC-E) is the premier vendor-neutral technical conference for companies and developers using Linux in embedded products. Now in its 12th year, the conference gathers user-space developers, product vendors, kernel and systems developers to collaborate. The conference will be held from October 23rd till October 25th 2017 in Prague, Czech Republic. As one of the main players active in the field of Consultancy and Services for Linux and Open Source Software for Embedded Systems, Mind will be present during this conference. Just before ELC-E, on October 21st and October 22nd 2017, Mind will also participate to the Buildroot Developer Days also in Prague. Please do not hesitate to contact us if you would like to take this occasion to meet and discuss.